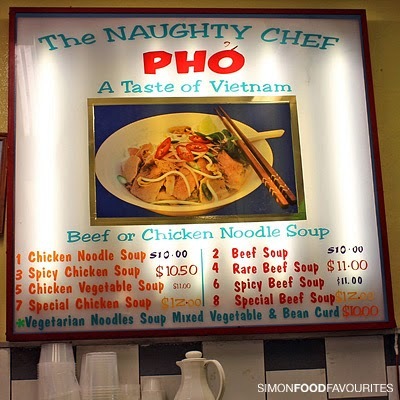 The Naughty Chef has been one of my long standing favourites for a good pho fix in the CBD. Located underground between Hunter Connection and Wynyard Station this hole-in-the-wall counter delivers quick service. 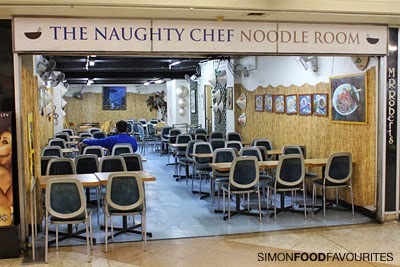 Seating is available in their 'Noodle Room' a few doors down adorned with crookedly hung Vietnamese decorations. 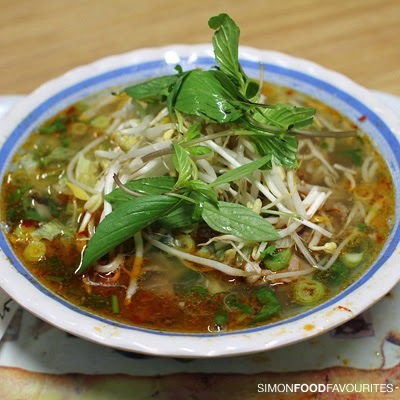 Prices have crept above $10 over the years but I think still holds as a cheap and cheerful place for some simple and consistent comfort dishes. 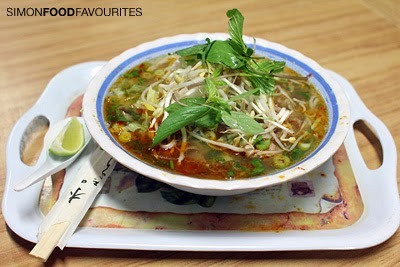 Spicy Beef Pho ($11) had a tasty and flavoursome broth with a decent chilli kick for me. 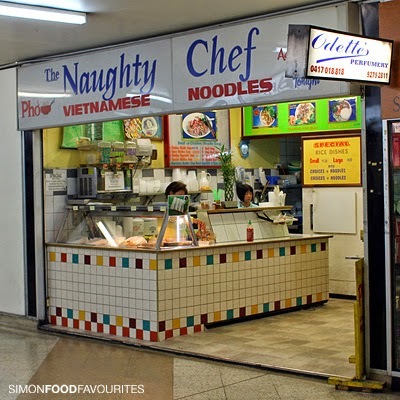 I'm well overdue for a Naughty Chef fix. Thanks for the reminder!